Gentle Touch Makeup Remover is a dual-phase solution that quickly removes all makeup and is particularly adept at removing waterproof mascara, stay-put foundation, or all-day lipsticks. Goes above and beyond by providing antioxidants and anti-irritants and will not leave an oily residue or sting the eyes. 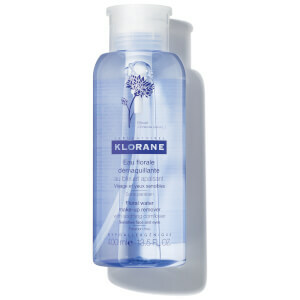 This mild makeup remover was carefully formulated for delicate eyelashes and the fragile skin around the eyes. 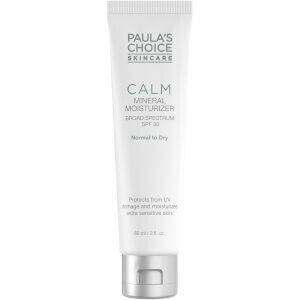 Before or after using the Paula's Choice cleanser for your skin type, shake the Gentle Touch Makeup Remover well and pour a small amount onto a cotton ball or pad. Gently wipe over the eye area, lips, face, or other areas where you want to remove makeup. Water, Cyclotetrasiloxane, Cyclopentasiloxane, Isohexadecane, Butylene Glycol, Glycerin, Aloe Barbadensis Leaf Juice, Bisabolol, Camellia Oleifera (Green Tea) Leaf Extract, Poloxamer, Sodium Dehydroacetate, Benzalkonium Chloride, Allantoin, Glycyrrhetinic Acid, Sodium Chloride, Disodium EDTA, Methylparaben , Benzyl Alcohol.